San Marzano - Sessantanni Primitivo Manduria On Offer | Saporidoc UK. 2012 Sessantanni Primitivo from the famous San Marzano Cooperative in Puglia. A potent wine that enrich the tasting experience beyond the most ambitious expectations. A modern red wine made without forgetting the obligations to the very old Apulian wine tradition. The Primitivo vines for the Sessantanni wine grow in very old vineyards in San Marzano and Sava in Puglia. The climate is characterised by high temperatures all year round, very little rainfall and a wide temperature range between night and day, which has a positive influence on the quality of the grapes. The grapes were hand-harvested in advanced status of ripening followed by maceration on the skins and alcoholic and malolactic fermentation in stainless steel tanks. The wine aged 12 months in fine French and American oak barrels. Bouquet: Wide and complex to the nose, fruity, with a prune and cherry jam aroma, with notes of tobacco, slightly spicy. 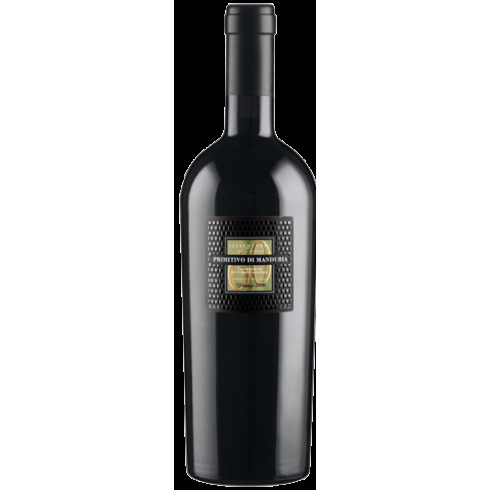 Taste: A full-bodied wine, soft and rich in fine tannins, with notes of cocoa, coffee and vanilla in the end.